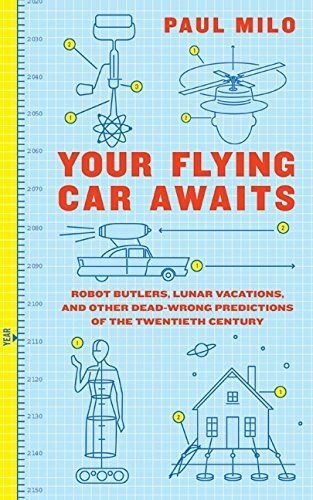 A delightful mixture of science fiction, utopian vision, and just plain crazy ideas, Your Flying Car Awaits is a hilarious and insightful compendium of the most outrageous and completely ridiculous predictions of the 20th Century. Award-winning journalist Paul Milo’s collection of “Robot Butlers, Lunar Vacations, and Other Dead-Wrong Predictions of the Twentieth Century” is true history on the lighter side, a must for fans of Ken Davis and his bestselling Don’t Know Much About® series as well as the popular Darwin Awards books. For an unforgettable journey back through the misguided scientific mindset of the previous century, climb aboard—Your Flying Car Awaits!